Before he won professional and university championships, Michael Jordan was building his game on the high-school courts. 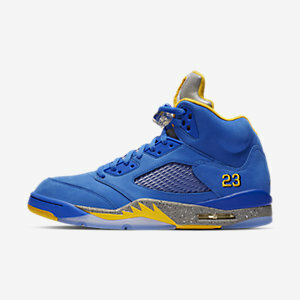 The Air Jordan 5 Laney JSP pays tribute to Jordan's high-school playing days on an iconic silhouette he debuted years later. Genuine and synthetic leathers provide comfortable, durable support. Solid-rubber outsole gives secure traction on a variety of surfaces.